An important step in a new bathroom design and renovation is choosing the right type of light fixture. There are a variety of different light fixtures that can be used in the bathroom including overhead lighting, hanging lights, and sconces. Bathroom sconce lighting has recently become a popular choice of bathroom lighting because it adds a unique touch to your bathroom. Sconces originated as a form of lighting during the medieval times. This type of indoor lighting fixture hangs on the wall, about three quarters of the way to the ceiling to provide illumination. Sconces usually have a bowl-like design that allows the light to be directed upward to illuminate the room. Sconces are the perfect bathroom light fixture to be placed around the vanity mirror. Because sconces direct the light upward, they provide the perfect type of lighting for applying makeup. Moreover, sconces are typically placed about five feet up the wall, providing ideal lighting for the face. If placed on either side of the vanity mirror, sconces can illuminate the bathroom wall tiles and appliances perfectly. 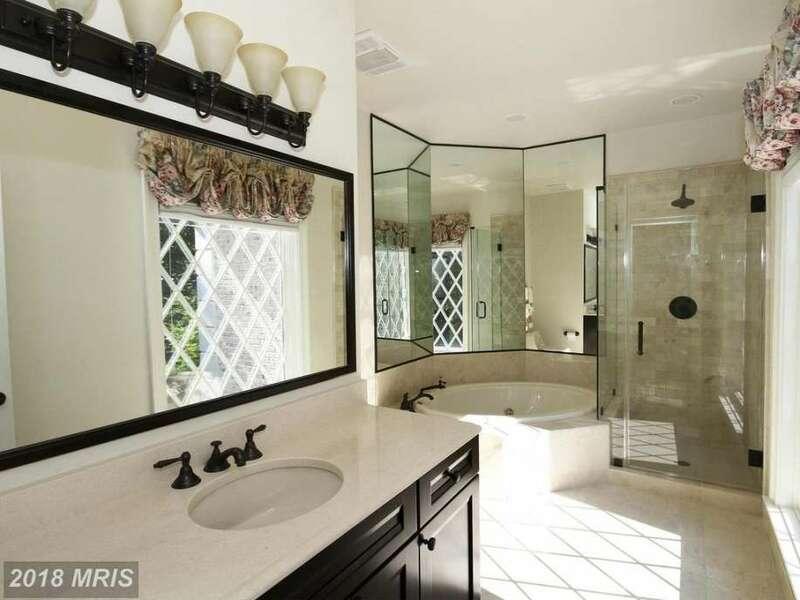 It is best if sconces are placed on either side of a bathroom mirror that is not too wide. Sconce lighting is the perfect fixture for the master bath because you can control the intensity of the light in the large space. If the bathroom vanity mirror is too wide, the sconces will not provide adequate lighting towards the middle of the mirror. 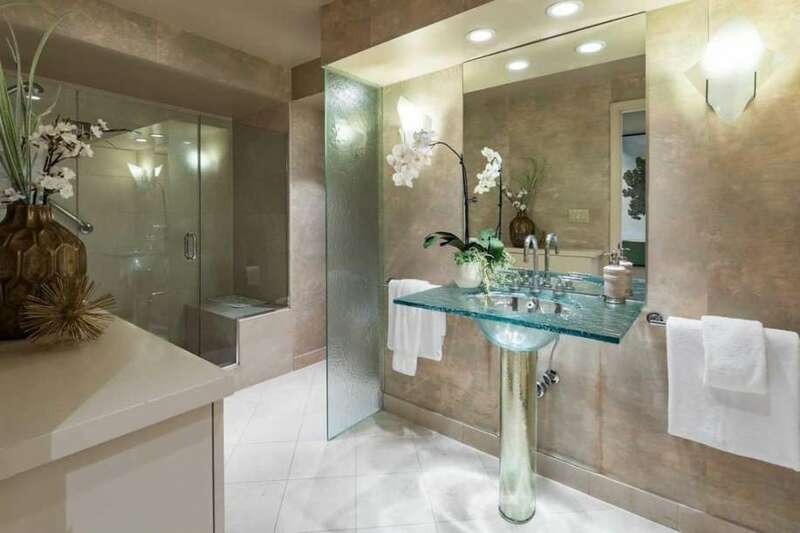 The toilet area is also the ideal place to use sconces in the bathroom. 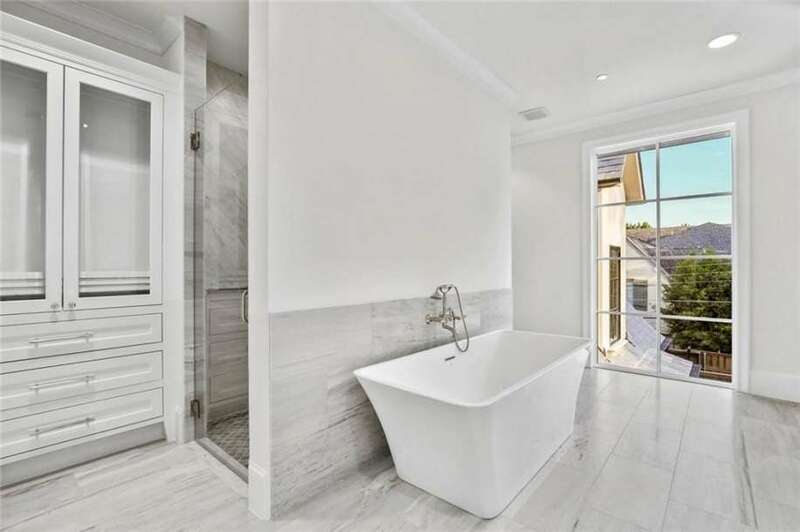 This area of the bathroom does not require as intense bright lighting as other areas, such as the shower. 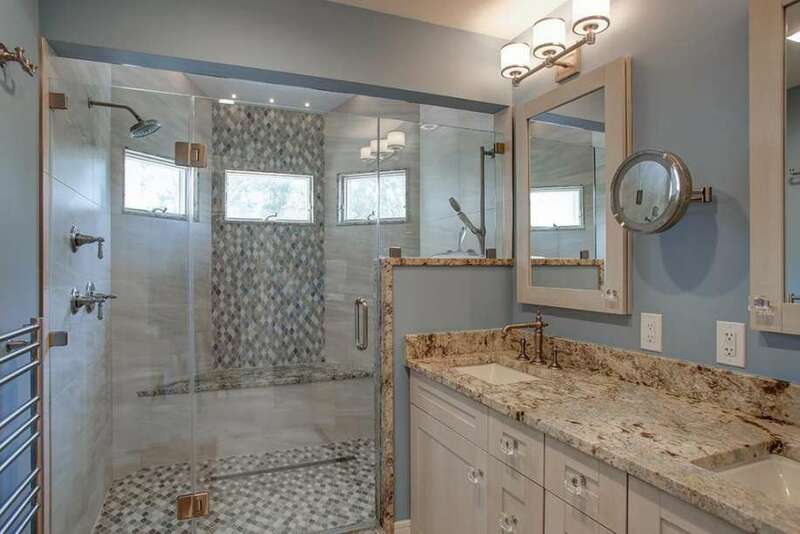 It can therefore be more cost-effective, and stylish, to place a bathroom sconce near the toilet to illuminate that area of the bathroom shower tile designs. Sconces are not the ideal type of lighting for right near showers because of the low bowl-shaped design. This design can easily collect water, so if placed low on the wall near a shower, can be dangerous. If light fixtures diffuse light properly, you can use a lower wattage bulb in the sconce. By using a lower wattage bulb you can reduce the amount of electricity that you use and save energy. Because you do not necessarily need to illuminate your entire bathroom every time you use it, many sconces come equipped with a rheostat feature that allows you to control the lighting levels. This allows you to brighten only designated areas and focus on bathroom wall decor rather than the entire room. This feature of bathroom sconce lighting is also good when you want to create mood lighting for a relaxing soak in the tub at night, but have the bathroom brightly illuminated for makeup application during the day. You can buy bathroom sconces made of ceramic, metal, or porcelain, that come in dark or light colors. These sconces can follow a Victorian or rustic design, or can be designed to fit a more contemporary or modern style. Typical modern bathroom sconces direct light up and down rather than the traditional sconces that direct light only upward. This type of bi-directional light design provides the bathroom with more light than the traditional uni-directional light and is therefore not as good for providing dim mood lighting. However, if you want your bathroom to be brighter, a bi-directional sconce is the right choice. 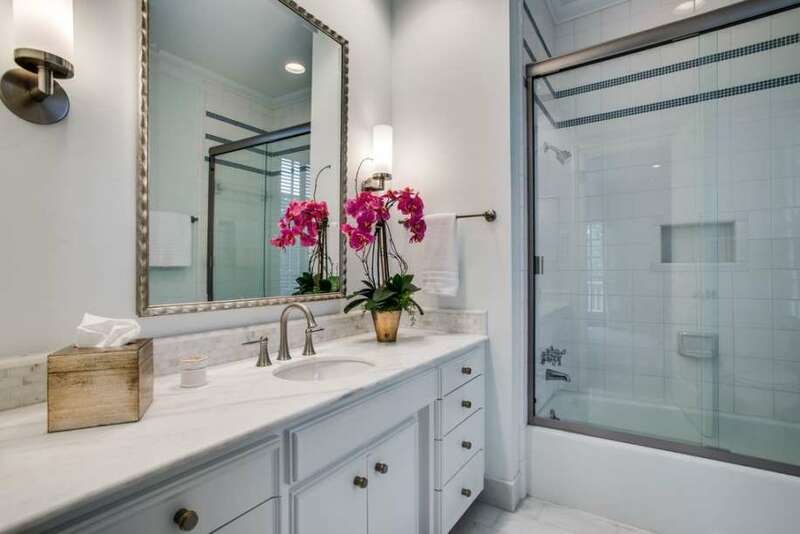 Regardless of the material, style, or bathroom paint colors of the sconces, these types of light fixtures provide a beautiful bathroom accent with adequate lighting.